US Wellness Meats’ fully cooked, all-beef franks are a consumer favorite across the nation because they contain no nitrates, nitrites, MSG or gluten. 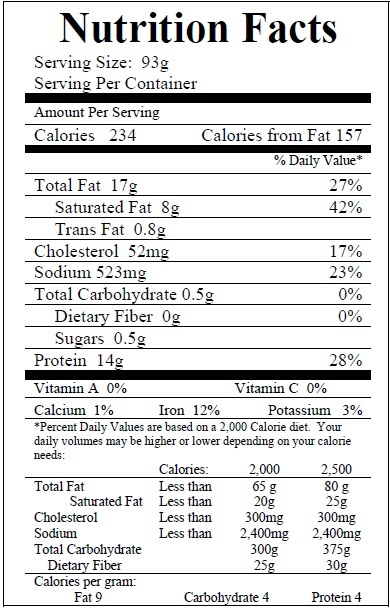 The low sugar content is also at plus at 0.45 grams per 93 gram frank. Customers cannot get enough of the fantastic flavor. Each Plain Beef Frank package contains 5 (3.2 ounce) franks. The package averages 1 pound. The franks are a good size, but the test is "off". A few of the dogs had a lot of bone/fat pieces. We are huge fans! We normally prefer the Best Pure All-Beef Kosher franks, but when we started eating clean, we tried these. Better that Best's! I did not find any bone\fat pieces in any that we have ordered as one person commented. These are huge, too. My husband has refused to eat hot dogs for as long as I've known him, because of the sugar and nitrates. But he loves these. They really are delicious, and far superior to anything you can buy at the supermarket. Finally a hot dog that tastes great that isnt full of things I cant eat. I have ordered several times and have not found any problems with bones or fat. They have been a great quality each time. Normally to eat a hot dog I'd have to smother it in condiments. These were absolutely delicious! My youngest--he's a super picky eater--didn't like the texture (maybe whatever makes the casing? ), but my other son and I thought they were great! I really like these dogs. I really wanted to like these. I really want to find a good, healthy option for hot dogs. These taste better than the garlic franks to me, but still not great for my tastes...I would probably give four stars, but unfortunately there was way too much gristle in them, so it is unlikely that I will buy these again. My order from US Wellness Meats arrived yesterday and I couldn't wait. Pulled out one frozen frank and put it on the grill. Put it on a toasted bun with mustard and so yummy. These cost more than in a grocery story but this is clean food. Well worth the cost to stay healthy. US Wellness Meats’ grass-fed Beef Snack Sticks are always a hit at trade shows and conventions. Customers appreciate that Beef Snack Sticks are nitrate, gluten, high fructose corn syrup, and MSG free. They generate stellar nutrition for young and old alike.